I really like to use every day experiences, analogies and examples to teach my children spiritual truths or life lessons. Jesus often used parables, real life examples to illustrate spiritual truths and our chickens provided one of those educational moments and inspired my sixth children’s book, Sooty & Snow. Despite our efforts, our black bantam hen, Sooty, insisted on finding ways to get through, under and over the fence designed to keep her safe in our beautiful back yard. The boundaries and rules we have at school, in society, in the home, at the pool and other places mostly have the underlying motive to keep us and those around us in a safe and happy environment. Similarly, God, like a good parent, has boundaries in place to keep us safe. We have all our needs met and find security, belonging and love in His presence. Many people see these boundaries as restrictions to fun and insist on pushing past them. God knows that although we may seem unharmed for a while, eventually we will get hurt if we live outside of His ways. The boundaries our loving Heavenly Father has in place are for our benefit because He sees the bigger picture. He loves us so much and only wants what’s best for us. The grass is actually much greener on His side of the fence anyway. 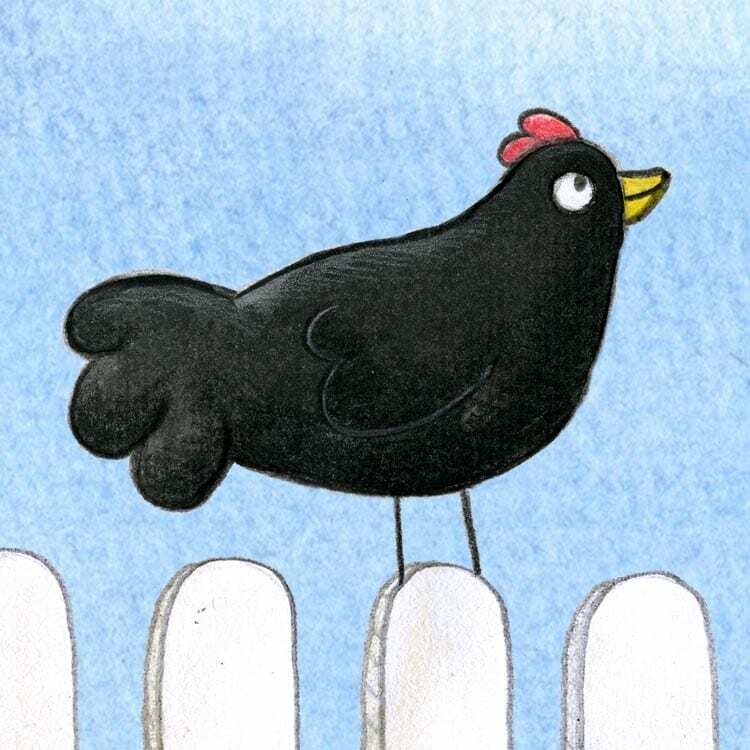 Sooty the escapee, black chook didn’t trust that the fence boundary was put in place out of love for her and our other chicken friends so eventually flew over and lost her tail feathers to a dog. Thankfully she has recovered just fine and inspired a fun and educational children’s book! You can preview the book Sooty & Snow via this website.